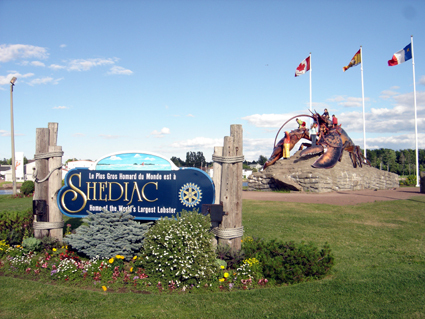 Shediac — Proclaimed to be the “lobster capital of the world,” Shediac and its fishermen have always had a lot to be proud of. Despite a small population of just over 6,000, the tourism business remains healthy due in large part to attractions such as the annual July lobster festival and the town’s 90-tonne lobster sculpture, which is said to be the biggest in the world. NASA’s Sept. 28 announcement detailing the discovery of flowing salt water on the surface of Mars has captivated the entire world. Said by some to be the biggest scientific headline of the new millennium, the prospect of life somewhere out there has become a popular water-cooler topic around the globe. Excitement, though worldwide, is perhaps at its pinnacle in New Brunswick’s small coastal fishing town. The demand for lobster is always on the rise in the Maritimes, and the possibility of an untapped fortune on a distant planet has done nothing but boost it. Lobster, however, is not the only thing on their minds. Page went on to explain her dream of having an Acadian settlement on the red planet, and possibly even making Chiac the planet’s first official language.